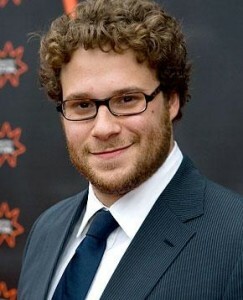 Can you imagine spending an extended period of time stuck in a car with both Seth Rogen and Barbara Streisand? I can’t, but I’m not really a fan of either actors. Hopefully, the movie going audience is down for the trip because that’s exactly what we have coming to a theater near you. The good news is that director of The Proposal, Anne Fletcher, will be at the helm for the comedy. I really enjoyed The Proposal but that is probably more of a credit to Bullock and Reynolds than Fletcher. Writing the film is Dan Fogelman who also has Cars to his list of credits so it can’t be that bad right? My Mother’s Curse follows an inventor who invites his mother on a cross-country trip as he tries to sell his new product while also re-uniting her with a lost love. If I had to guess I would say this film will see about as much success as Due Date which actually had two more popular stars and still failed. I wonder what her curse is. Do you think that this sounds like a good idea? Are you a fan of either star?